Earn $7.20 in VIP credit (720 points)What's This? 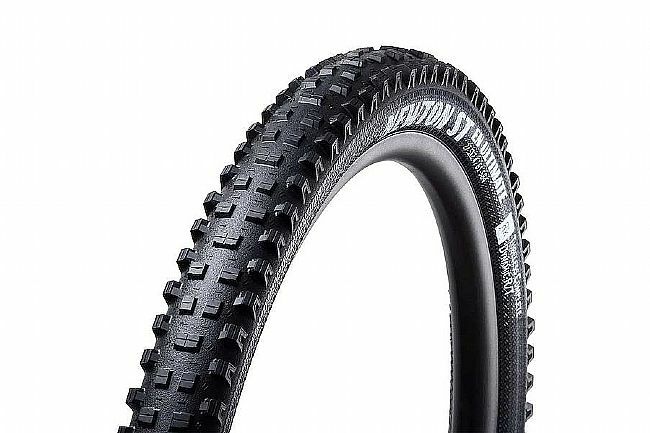 Goodyear's Newton-ST EN ULTIMATE R/T 29 Inch MTB Tire offers good rolling behavior, top performance, excellent traction, and snappy curve grip -- everything needed for aggressive trail riding and downhill racing. Multiple louvers and shorter lugs in the middle of the tread reduce rolling resistance, while larger, curved side lugs provide plenty of braking and cornering grip in all conditions. DYNAMIC: R / T rubber compound. Ultimate - Lightweight & Flexible Carcass. E-bike compatible, up to 25 km/h.